Als langjähriger Microsoft Gold Partner, SAP-Partner sowie durch unsere SAP-zertifizierte Technologie bieten wir unseren Kunden und Partnern somit eine optimale Voraussetzung für die Verbindung dieser beiden Welten. 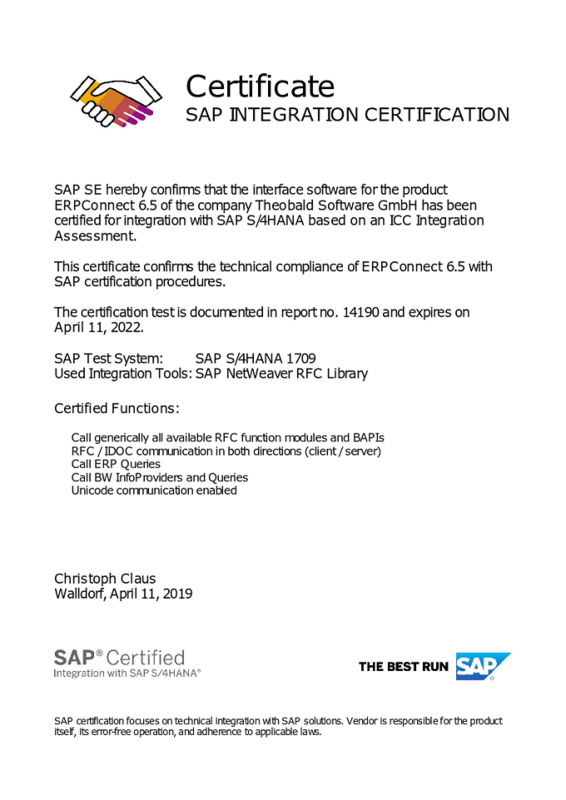 Stuttgart – April 12, 2019 – Theobald Software today announced its ERPConnect version 6.5 has been certified for integration with SAP S/4HANA edition 1709 based on ICC Integration Assessment. 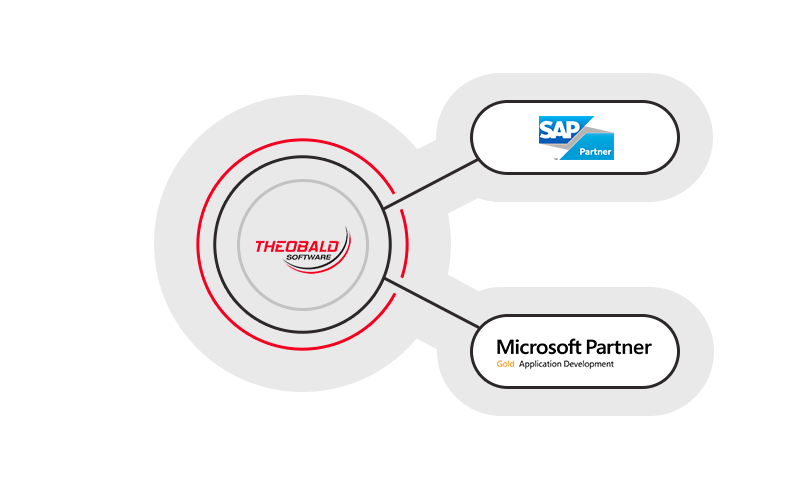 The solution has been proven to integrate with SAP® solutions, providing an elegant way of developing own SAP interfaces. ERPConnect is a lean .NET assembly that lets you to develop robust SAP interfaces with little effort and, above all, without requiring a complex infrastructure or additional middleware. ERPConnect offers a .NET API for all kinds of SAP objects to enable easy interface implementation and design for developers (e.g. 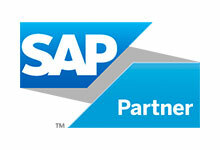 function modules, SAP queries, IDocs, RFC server, BW InfoProviders and Queries etc. ).